Do you need to transport safely and cosily? 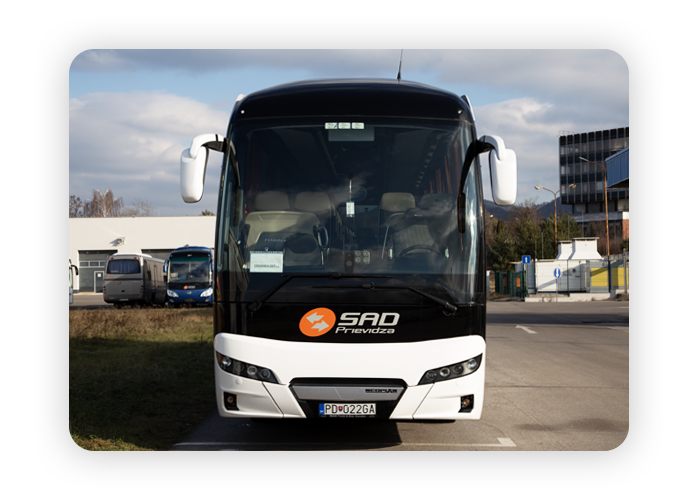 SAD Prievidza JSC is a leading Slovakian company with 69 years of rich history in the transport industry. The history dates back from the year 1949 when the first transport system was created in Czechoslovakia to help deliver public transportation and product logistics. The most favourite type of vehicle for such travels was gained by SETRA, therefore 80% of the International transport fleet carry this name. Each bus used by the International transport department is less than 1 year old. The buses rarely stay in Slovakia, and pick up and drop off points are usually in different countries. The comfort and safety along with technical and visual perfection of the busses shows the high standard and values which this company is proud to present.